Our exceptionally high product standards reflect our mission to serve member owners and our community by operating a socially responsible business. We provide natural foods and quality products and emphasize those which are locally produced, organically grown, and ecologically sound. Also prohibited are food products in which the primary ingredient is irradiated, extracted with chemical solvents, or produced using cruel practices in the treatment of animals. Current food regulations in the United States do not require the labeling of genetically modified ingredients. GMO use is widely accepted in the food industry nationwide. We are proud to be leading the movement in advocating for transparency in GMO labeling locally and throughout Oregon. Existing Products: Food products carried before 2014 must contain no GMOs in the first three ingredients to conform to our Product Standards. New food products with any high-risk ingredients* must be third-party certified as Organic or GMO-free. A signed affidavit declaring GMO-free ingredients may be allowed for local vendors in lieu of third-party certification. *High-risk ingredients include all High-Risk Crops as defined by the Non-GMO Verified Project. As of Sept. 2013, these include: Alfalfa, canola, corn, cotton, papaya, soy, sugar beets, zucchini, and yellow summer squash. (What is GMO? Learn more here). Non-organic animal products that may have been produced using GMO feed are not currently classified by AFC as a GMO ingredient. Meat, dairy, or egg products produced using antibiotics or hormones, such as rBGH (recombinant Bovine Growth Hormone), are classified by AFC as GMO ingredients. Any food products that do not conform to our Product Standards must have a Product Standards Alert sign posted at the point of purchase. The following links are good sources of reliable information about organic certification, GMO-Free Products and current issues around this important topic. Eat More Certified Organic Food. Yes, it’s actually that simple. And we’re here to help. Whether you’ve been organic since the 60s or you’re going organic for the first time, we’d love to help you understand why Certified Organic food is so much better than conventional, and even “natural” foods. Certified Organic food is always GMO-free. It’s the law. Certified Organic products have always been prohibited from using GMOs. Certified Organic is the only label that is guaranteed to support a range of environmental and social values. 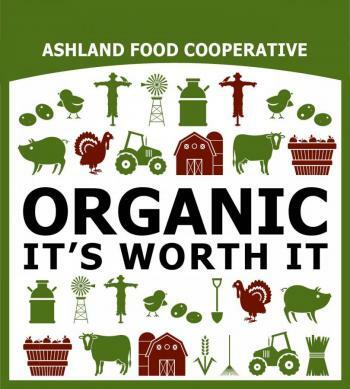 Organic agriculture uses NO toxic and persistent pesticides, synthetic growth hormones, or petroleum-based fertilizers. It’s true, organic products cost a little bit more. Is it worth the added expense? We think so. Here’s what you get: peace of mind and the guarantee that your food is not only good for you but also creating good in the world. Products marked as “natural” or “non GMO” have no such guarantee. As Southern Oregon’s first and only Certified Organic Retailer, the Co-­op ensures organic integrity from the farm to your table. It’s our top priority, at the very heart of our mission.